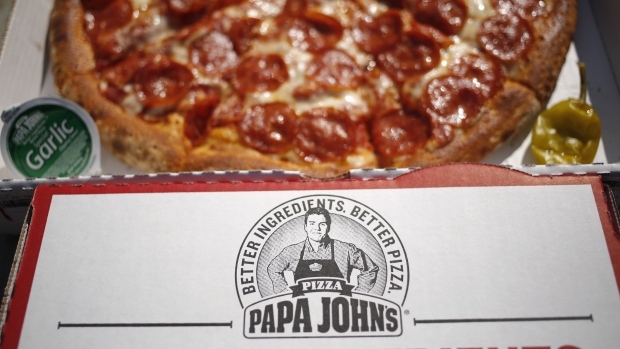 Papa John’s International Inc.’s outspoken chairman John Schnatter is facing another controversy that is battering the shares of the pizza chain he founded. Just seven months after exiting the CEO role after making critical comments about the NFL’s national-anthem dispute, Schnatter is under fire following a media report he allegedly used a racial slur and graphic descriptions of violence against minorities on a May conference call with a media agency. Shares fell as much as 5.9 per cent on Wednesday to US$47.80 as of 11:05 a.m., the lowest intraday level since February 2016. Schnatter said in a statement that the reports were true, calling the language he used "inappropriate and hurtful." A media agency working with Papa John’s decided to cut ties after Schnatter’s alleged behaviour on the May call, according to Forbes. The agency, Laundry Service, didn’t immediately respond to requests for comment. Forbes reported that the incident took place on a call arranged between Papa John’s executives and Laundry Service as a role-playing exercise for Schnatter to prevent future public-relations missteps. Schnatter stepped down as Papa John’s CEO in January. The decision followed a November controversy when he said that players’ national-anthem protests were mishandled by NFL leadership and hurt the pizza chain’s sales. Papa John’s later apologized for the “divisive” comments.